I’m a complete novice to the Creepy Comics series. I took on reviewing it this week mostly because it reminded me so strongly of being a kid and checking out the Stephen King’s Creepshow comic book from my hometown library about twelve times (or was it THIRTEEN times?!). Indeed, the book is a flawlessly classic presentation of the kind of schlocky horror stories both the Creepshow movie and book were trading in. A warm, nostalgic affection for the weird little kid I was settled in almost immediately after I started reading the “Dear Uncle Creepy” letters page at the front. A good thing, since a nostalgic lens is almost required, considering the book so openly hearkens back to its sixties roots, when Creepy Comics # 1 was first released. The art is black and white, save for a special few pages near the end, and a couple of the stories have formulaic “twists” that can hardly be considered such in these our times of M. Night Shyamalan and Guillermo del Toro. Still, journeys can be fun in and of themselves, even when seeing the destination clearly ahead. 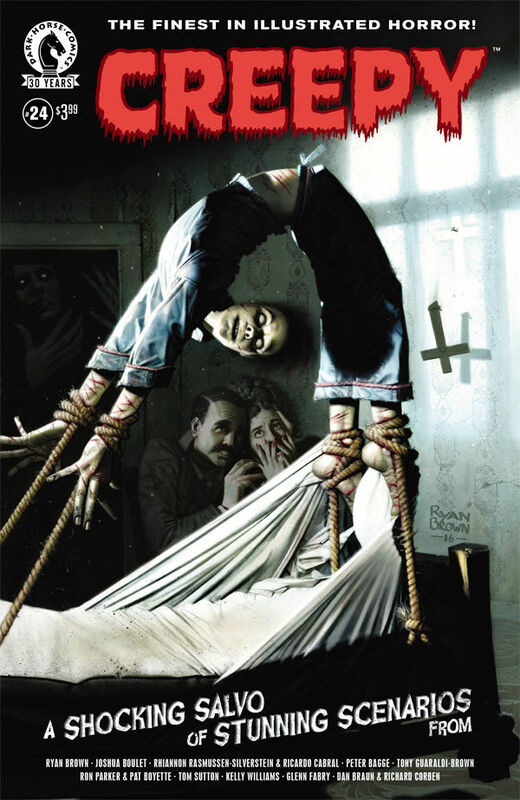 There are three major stories in this issue of Creepy, with brief interludes of comic relief, tales of true-life horror, and full-page art pinups to serve as transitions between. The first, “The Hymn of Ordeal, No. 23,” is far and away the best; a domestically-focused space opera that ends on a palpable sense of inescapable doom. The other two, “Home is Where…” and “Coherer,” aren’t without their charms, though I couldn’t help feel like both were written too in the vein of a throwback. That is to say, they would have both invoked a much stronger shudder in eight-year-old me than thirty-something me. Which is to further say if you are, or you know, a kid who likes horror stories, don’t hesitate to pick up a copy. The artwork is delightful throughout, with almost every page invoking bygone comic styles, something you’ll never find me complaining about. However, I can’t help but fantasize about the writing being a touch more current (with the exception of Uncle Creepy, of course – keep his voice as is, please). As satisfying as it can be to scratch the nostalgia itch, the retro art coupled with a contemporary horror writing style would elevate Creepy to the next level. I don’t remember the first “party” I went to. Oh sure, I went to plenty of parties growing up: birthday parties, Christmas parties, weddings, what-have-you, but the first party I went to where I had a chance to talk to girls? I think it was near the end of my senior year of high school, and I was still 17. I don’t remember talking to any girls at this party, but I sure wanted to. I spent the previous three and a half years reveling in being an outsider, letting my freak flag fly, me and my other two or three friends always sticking together. But near the end of high school, I realized I wanted something more. And that something more was to get laid. At the time, I would not have said it so boldly, but that’s exactly what it was. So at this party, some of my newer friends and I (still outsiders, mind you, but more socially adept than my usual crew) made ourselves obvious as outsiders (none of us drank or smoked pot or whatever “partying” really meant) and gathered around the TV to watch our favorite show, disregarding the rager behind us. I think we spoke to some girls at this party, but none of us really talked to girls. Fast-forward a bunch of years. Again, I was at a point where I spent three and a half years making myself an outsider. On this night, some friends and I were invited to a party… a party hosted by girls! I invited along some members of my old crew, which was a mistake. I spent more time babysitting one friend than talking to girls. Who knows what this friend would have done had I not been babysitting – he poured red wine in the washing machine and pissed in someone’s car before midnight. 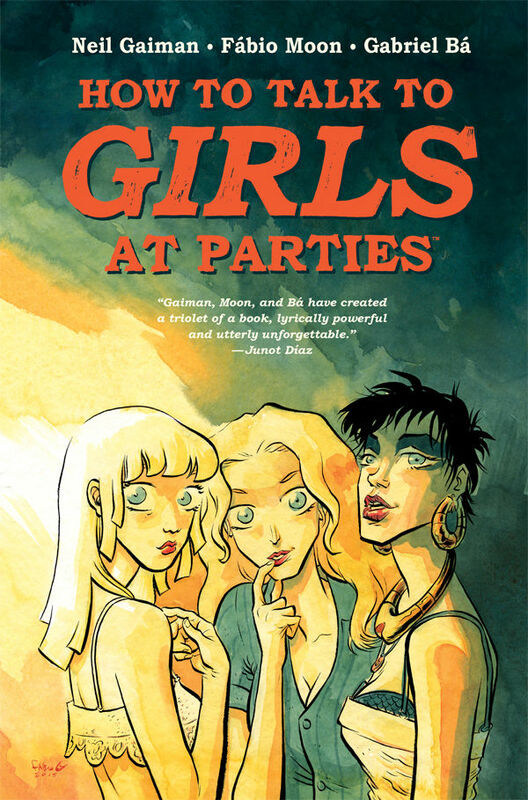 While reading Neil Gaiman’s How to Talk to Girls at Parties, I felt more akin to narrator, Enn: watching, waiting and wanting, but not really doing what I need to do to talk to girls (“Just talk to them,” Enn’s pal Vic would say. Duh!) I’ve had friends like Vic, friends who had the gift of spontaneous conversation and magical charm. But I’m pretty sure I never talked to a witch, or a spirit, or some otherworldly entity at a party, like Enn and Vic’s misadventures. Sure, I’ve talked to some pretty out there people, boys and girls alike, but no one from out of this world. That I know of. So why do I share these stories? Why am I even thinking about these times in my life, some more than half a lifetime ago? I can’t explain. There’s something about Gaiman’s writing that conjures memories of time forever lost and feelings of sentimentality. I originally read Sandman so I could have something to talk about to a girl that I was interested in. Sandman was lost on me at that time, but that was a lost time in general. I wound up re-reading Sandman some years later and enjoying it. The girl? Haven’t seen her in almost a decade. The pairing of brothers Fabio Moon and Gabriel Ba on art is what makes How to Talk to Girls at Parties magical for me. 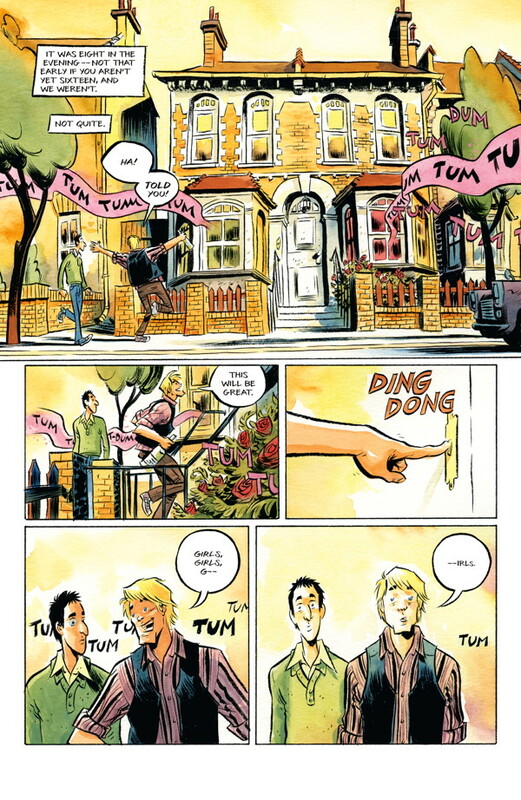 Their use of watercolor is perfect for evoking the dreamlike and wistful qualities of Gaiman’s story. I’ve been peripherally aware of Moon’s and Ba’s work, but after reading How to Talk to Girls at Parties I am compelled to seek them out. Sorry it took so long to get to it, but I guess my real takeaway isn’t necessarily a trip down memory lane, it’s something that makes me love reading comics – the serendipitous finding of other artists’ work through happenstance reading of some book I thought had an interesting title. Here we are with the long-awaited Dark Knight Returns: The Last Crusade. This is the supposed tale that ends Batman’s days as the Caped Crusader, a self-imposed exile lasting 10 years, not to be heard from again until what will be The Dark Knight Returns. Last Crusade ends with a bit of mystery, but if this is to be the death of Robin/Jason Todd, then Last Crusade succeeds as a believable story that would put Batman into retirement. Todd’s death is hinted at in the Dark Knight Returns, originally published in 1986, before Todd was actually killed off in 1988. My entry to Batman comics came about this time, and while I really liked A Death in the Family, the story doesn’t hold up pushing 30 years later. The idea that Batman and Robin chased the Joker down in some Middle Eastern desert, and these events just coincidentally involved Todd’s birth mother and the Joker having some sort of diplomatic immunity just didn’t work. A bit too clowny, even for a Joker story. Last Crusade gives a more realistic spin on the events preceding death of Robin. Bruce Wayne is having a tougher time bouncing back from beatings in his advancing age. He’s lost a step in speed and reaction. Batman isn’t ready to step down from his self-appointed status as protector of Gotham City, and he’s reluctant to place any more responsibility on Robin’s shoulders. Robin’s temper and violent behavior are a little too much for Bruce (hinted at in the Batman and Detective comics at the time). Like any headstrong youth, Robin wants to prove to Batman that he can do more, and defies many direct orders from daddy Batman, sometimes for the better, but ultimately not. The majority of Last Crusade unfolds as any other Batman story would – a few days in the life of the Dynamic Duo. Joker breaks out of Arkham Asylum, Poison Ivy is luring rich men to her side, Killer Croc as her bodyguard. Last Crusade isn’t the most exciting Batman and Robin story ever, but it doesn’t need to be because it’s a prequel to a bigger story. In a sense, Last Crusade is the opening band supporting the headliner, Dark Knight Returns. Let’s not ignore the visual aspects of Last Crusade. John Romita Jr. brings a welcome subtly to the often bombastic Dark Knight Returns saga, with the assist going to Peter Steigerwald’s muted color palette. Romita’s barrel-chested Batman evokes Miller’s art of the original Dark Knight Returns without going overboard. And he’s done Miller time before, in Daredevil: The Man Without Fear. Most of Romita’s career has been on the Marvel side of the fence, but he’s has drawn Batman before (in the Punisher/Batman crossover) and will again in the upcomingAll-Star Batman. Also, he uses my first name for his middle name. I’m left pondering two major thoughts after reading Last Crusade. First, how much of Last Crusade was written by Frank Miller and how much by Brian Azzarello? Miller’s writing has become increasingly unhinged over the years. Last Crusade feels like a child of Miller, the story itself is too linear to really be wholly, or even in large part, by Miller. Did Miller come up with the outline and Azzarello mold it into shape? I don’t have answers to these questions, but I feel that Azzarello deserves more than just a little thanks and being credited as co-writer. Second, where does Last Crusade fit in the greater canon of Batman? Even outside what DC considers official canon and into what makes my personal Batman canon (or any other fan who has devoted so much of their life to Batman stories). DC editorial can and will change what they want, but Miller’s Year One and Dark Knight Returns will always stand as the beginning and end of Batman, in my not-so-humble opinion. My only exception is I would make room for Grant Morrison’s Batman, Incorporated. 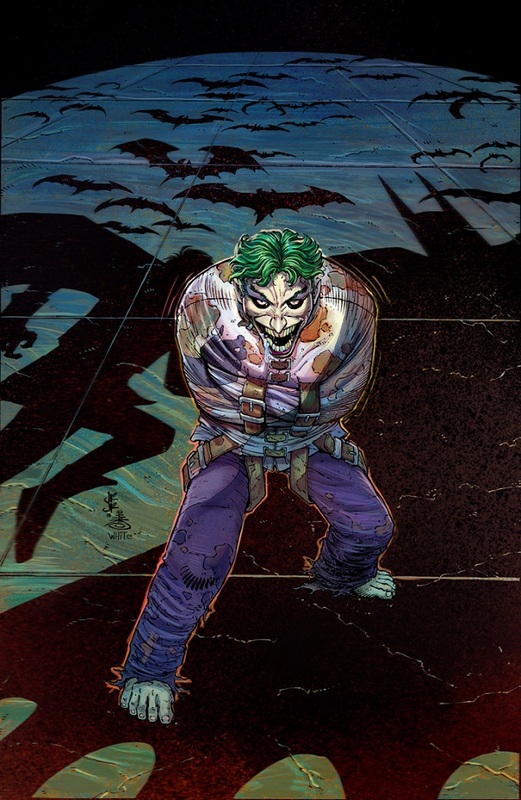 Morrison made plausible the idea that Batman would eventually diversify as well as have a more global reach (due to aging, as well as his megalomania.) This is the direction I feel that DC is going in with Rebirth, in theory if not in name. Last Crusade hasn’t swayed me to feeling I need to read Dark Knight: The Master Race. Last Crusade proves its worth as a standalone prequel to the Dark Knight series, and as a more worthwhile entry than Dark Knight Strikes Again. 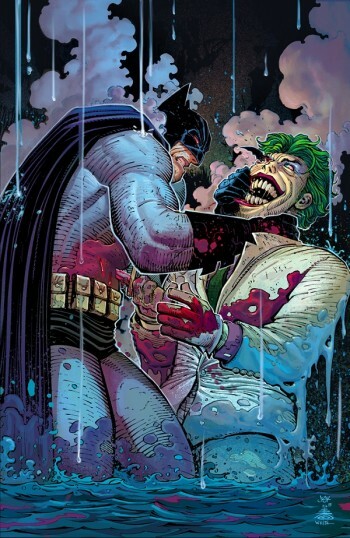 Being a professional skeptic, I’m sure that before too long we’ll be seeing Last Crusade II: the Joker Strikes. Pun intended, so I can end on a happy note.